Article Hearing Aids for Children Should Not Carry a Social Stigma. An interesting insight and findings on the difference hearing aids make for children with “mild” hearing loss. Mild Hearing Loss has been written for parents and other caregivers. This handout encourages parents to take the presence of mild hearing loss and the need for action seriously. It includes wave files that simulate listening to language with a mild hearing loss. Relationship of Hearing Loss to Listening and Learning Needs – Mild Loss– This single-page handout can be used to assist in planning a young child’s transition to school. 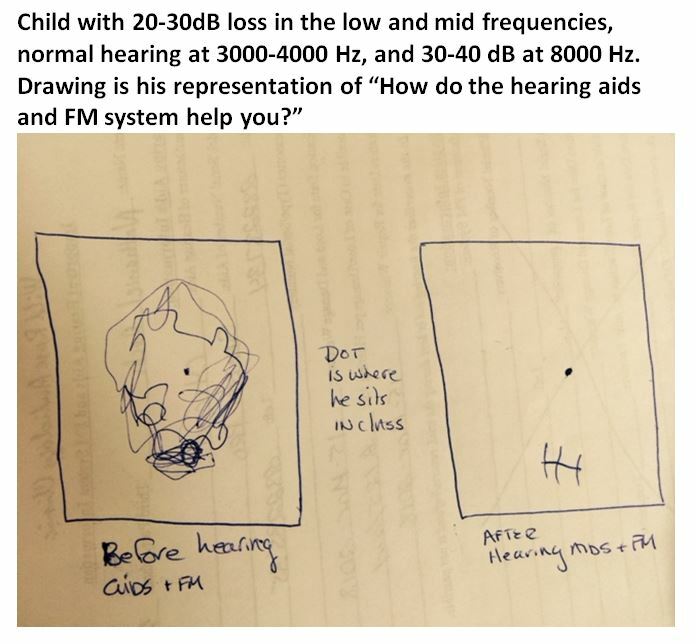 It can also be used to inform teachers, other school staff, and medical providers on the potential affects of unilateral hearing loss on learning. One of the concerns for children born with mild hearing loss is that the auditory cortex portion of the brain will be less developed, especially if no hearing aids are worn from early infancy or if the child doesn’t receive hearing aids until school age. The following information is from a report in Science Daily. When a sense (taste, smell, sight, hearing, touch) is altered, the brain reorganizes and adjusts. In the case of poor hearers, researchers found that the gray matter density of the auditory areas of the brain was lower for people with decreased hearing ability, suggesting a link between hearing ability and brain volume. When there is a hearing loss it is important to intervene with hearing aids, not only to improve hearing, but to preserve or develop the brain structures. Studies revealed that, for people with hearing loss (even mild loss) the brain’s response to increasingly complex sentences resulted in less brain activity. 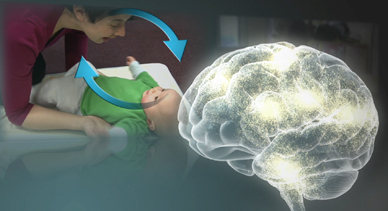 Hearing ability directly affects how the brain processes sounds, including speech. Preserving (maximizing) hearing helps your brain (develop) perform at its best. Brain activity is directly related to the ability to process or comprehend sentences. The The Influence of Hearing Aid Use on Outcomes of Children with Mild Hearing Loss (October, 2015) had some very convincing findings. Thirty-eight children between the ages of 5:10 and 7:2 with slight or mild hearing loss participated. Thirty (37%) of the 38 children used hearing aids (one used one hearing aid and another used a BAHA; 28 used bilateral hearing aids). Fourteen were full time hearing aid users (8.7 hours or more per day), 15 (39%) were part-time hearing aid users (2-8.3 hours per day), and 9 (24%) were non hearing aid users. With the exception of articulation scores and speech perception in noise, test results across a variety of domains present a general picture in which nonusers demonstrate the lowest scores, full-time users demonstrate the highest scores, and part-time users are in the middle. This is despite the fact that the nonusers had significantly better unaided behavioral thresholds compared with the full-time and part-time HA users. Children in the full-time HA group likely had the most consistent access to the auditory environment. This consistent access has a cumulative positive effect on functional language outcomes by elementary school. The results provide important evidence for parents and service providers on the effect of aided mild HL. That said, children with mild HL performed within normal limits on standardized language measures but significantly worse when compared with peers. Children with mild HL who were receiving consistent auditory access through full-time use of amplification significantly outperformed children who were not using amplification. Although all of the participants performed within the average range for the test norms, variance in performance between the groups can be explained by taking into account differences in cumulative auditory experience for children who were otherwise homogeneous (i.e., had similar socioeconomic backgrounds, audibility levels, and nonverbal cognitive abilities). In a 2013 study, Porter et al. included teacher and parent report questionnaires and found that teachers reported more attentionbased difficulties in children with mild HL relative to children with normal hearing. Furthermore, these researchers found that teachers reported more behavioral difficulties for children with mild HL who used amplification compared with children without amplification. Why do so Many Students that Function with Mild Hearing Loss have Challenges Fitting In? Anecdotally, students with 20-40 dB hearing loss put forth great effort to “pass” as a typically hearing student. Many begin school with language ability within the wide range of typical. Once they begin school, the hostile acoustic environment of the classroom (noise, reverberation, distance) greatly increases their ability to fully perceive the communication around them. 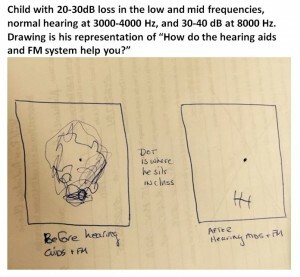 Thus, a student who functions in the classroom with a mild hearing loss (either without hearing aids or aided hearing levels) can become marginalized. In the educational sense, to become marginalized is to experience a strained, difficult relation with the school environment. Sinclair and Ghory (1990) suggested a sequence of events that students go through in becoming marginal. In each of these four behavioral stages a student may stop, reconsider, move on, or move in a new direction. School personnel may continue to ignore how access issues related to hearing loss impacts social and academic function, thereby encouraging further downward spiraling of outcomes, or they may seek to intervene, to support student expanded core skill development (self-advocacy, communication repair, appropriate pragmatic social interactions, independence with hearing devices, etc.) as a means to provide the student with strategies and resilience to face the classroom challenges. TEST – Initially, in a desire to do well or to function within the educational system, the student may begin to test the system and to take certain shortcuts. These attempts may involve minor rule-breaking or bending, which are subsequently blocked in some way (e.g., being admonished for copying information from an encyclopedia). Over time, these infractions and incidences are repeated, presumably as a reaction to increasing self-doubt regarding one’s ability to succeed and a lack of understanding of the consequences of rule-breaking. Concurrently, the student may become known for rule-breaking resulting in greater vigilance by teachers and others for rule-breaking and increasing punishment when rules are broken. The student may begin to harbor feelings of resentment and to seek solace with like-minded peers. COAST – With repeated reprimands the student may become more careful to avoid trouble, thereby resulting in a stalemate with those in the educational system, many of whom may now regard the student as a troublemaker. At this point the student may begin to coast, maintaining a false front of compliance, because his desire to ‘cut corners’ as a way to deal with the challenging learning environment seems prohibited. During this coasting phase, the student may be ignored by the educational system (e.g., no praise even for outstanding work or behavior), which confirms the student’s sense that doing well in school is irrelevant. The student is now at a turning point. Out of a concern for the future the student may try harder to become, and be more recognized as successful in school. At this point students may reject using amplification devices that make them look different. Or the student may choose to stop trying to ‘fit in with expectations’ that are too difficult, causing lack of success to spiral out of control. The process of coasting also can be seen when children exhibit a learned helplessness or learning delays well beyond their cognitive potential. RETREAT – At some point a crisis may be reached due to a publicly embarrassing event. This point serves to formally stigmatize the student as marginal, causing them to feel as though they do not fit in with the majority of their class peers. At this point, students either reassess and alter their behavior (if they have the skills to repair communication breakdowns, use pragmatic language appropriately, and self-advocate as needed for their listening/learning needs), or they retreat into the marginal role that serves to confirm that they truly are different from their peers. Once again, students at this point may reject using amplification devices that make them look different. 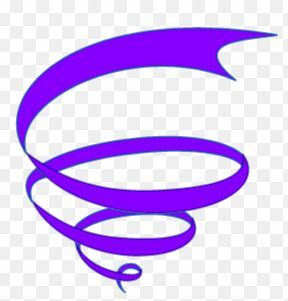 REBELLION – Eventually, this cascade of behavior and peer reactions may give rise to rebellion, including the rejection of goals (I would rather be seen as being dumb than hearing impaired) and development of more challenging behaviors or negative attitudes. Far fewer children who are deaf or hard of hearing reach a rebellious stage, although it is clear that some do. More of these children and youth opt to test, coast or retreat. A typical response of the educational system is to underestimate and undervalue marginalized children. This includes (a) lowering of expectations, (b) benign neglect of specialized needs, (c) trivialization of the students’ education, (d) overemphasis on manipulative activities, (e) opting for low-level life skills instruction, (f) focusing on low-level skills-based academic programming, (g) blaming the victim (if he would just try harder), (h) applying additional handicapping labels in addition to heairng loss to explain poor performance, and (i) various forms of ongoing subtle, and not so subtle, public degradation, humiliation, and ridicule, to mention a few. This information was excerpted from Kretchmer, R. (1997). Educational Considerations for At-Risk/Marginal Students Who are Deaf or Hard of Hearing, Language, Speech and Hearing Services in Schools, 28, 395-406. Posted to SSCHL website Nov 2014.